The Salvation Army Women’s Ministries department exists to give Godly leaders resources for encouraging, supporting, disciple-ing, and training women of all ages, life stages, and backgrounds to follow the mission of Jesus Christ. We believe this happens best as women gather together in the name of God to impact their family, their community, and their world. Through cooperative arrangements with prison, probation, and parole officials throughout the country, The Salvation Army plays a growing role in prison rehabilitation and crime prevention. 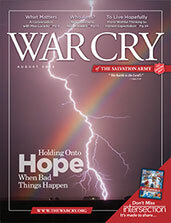 In some jurisdictions, prisoners are paroled to the direct custody of The Salvation Army. Services include Bible correspondence courses, prerelease job-training programs, employment opportunities in cooperation with parole personnel, material aid, and spiritual guidance to both prisoners and their families. Many Salvation Army Adult Rehabilitation Centers and Harbor Light Centers have served as designated halfway houses where former prisoners can participate in work-release programs. Those convicted of minor offenses often are given the opportunity to accept placement in community service programs at corps community centers and institutions as an alternative to incarceration, or in the last months of their sentences. 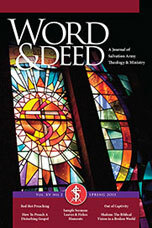 In addition, Salvation Army officers and volunteers lead worship services in jails and prisons. 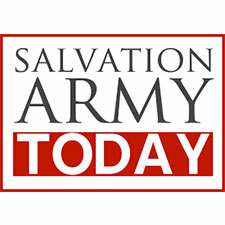 A national Salvation Army Correctional Services Sunday is observed. Counseling and emergency assistance also are available to crime victims. 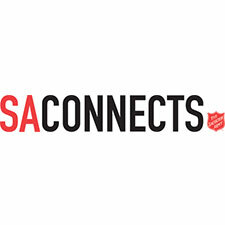 For programs in your area, please contact your local Salvation Army by using the Locations search at the top of this page. The Salvation Army's music ministries teach people of all ages how to sing and play instruments to the glory of God and for the blessing of others. Whether it's playing in a Salvation Army band, singing in a choir or praise band in Sunday worship, or playing instruments at a Christmas kettle, Salvation Army music ministries provide participants with a lifetime of fulfillment through musical excellence with spiritual purpose. 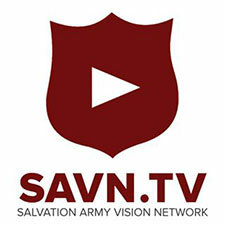 Download The Salvation Army’s Soundcast apps.